An outstanding rug paired with a bean bag makes for a great reading area in any child’s room, not to mention it looks super cute. Turn any plain corner into an irresistible reading nook with La De Dah Kids’ lovely new rugs and bean bags. We’ve known – and loved – them for their crochet toys and rattles for quite a while now, but La De Dah Kid’s new hand crotchet rugs are simply stunning. 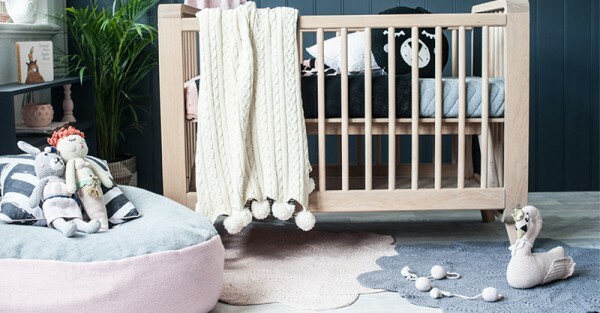 The versatile rugs come in a range of warm colours to complement any nursery decor and will look just as lovely when the nursery morphs into a child’s space. 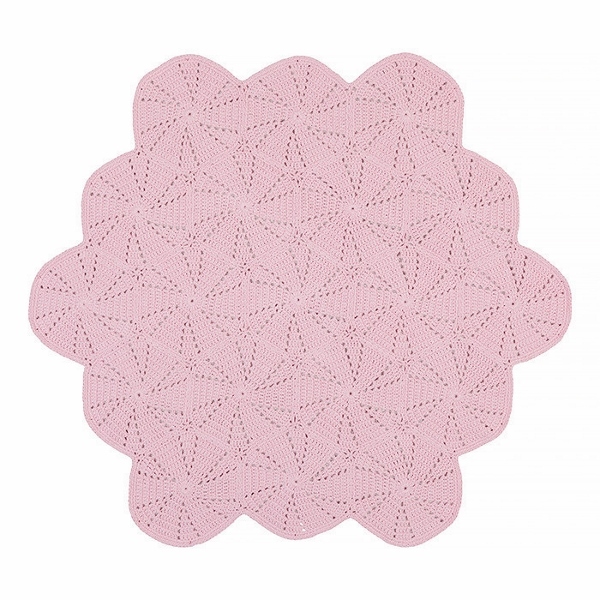 The rugs are made from cotton so they are perfect for children with sensitive skin. Kids aren’t always the best at keeping things clean (as I’m sure you all know) which is why I love that these rugs can be gently hand washed when things get messy. Prices ranging from $180 to $250. Bean bags come in six cute patterns, from, adorable bunnies to sweet little fish, spots and stars. How do you choose just one? Each bag is machine knitted from cotton yarn, with a separate polyester inner to keep beans safe from probbing little fingers. The larger bean bags are $190 and smaller sizes $135. See all their new additions over at La De Dah Kids, where you can order directly.